At the annual meeting of the American Society for Cell Biology (ASCB) in Philadelphia, USA, from December 6 to 10, 2014, Leica Microsystems offers visitors a preview of its latest development: a light sheet module as an optional add-on to the Leica TCS SP8 confocal microscope for the observation of developing organisms in real time and 3D. The synergy of light sheet and confocal microscopy opens novel fields of application. Light sheet microscopy is a gentle method of imaging light-sensitive samples or fast biological processes in whole organisms, because the specimen is illuminated in a single plane, which reduces phototoxic effects and protects the sample. By moving the sample along this plane, imaging of three-dimensional structures is possible. A high-speed camera allows the imaging of fast cellular processes. Light sheet microscopy is ideal for applications in developmental biology. Light sheet microscopy usually requires a dedicated optical setup on a dedicated system, where the illuminating and the detecting objective are perpendicular to each other. The new light sheet module from Leica Microsystems uses a mirror device that deflects the illuminating light sheet at a 90° angle. This allows the integration of the light sheet illumination and detection beam path into the vertical axis of an inverted Leica TCS SP8 without compromising the confocal functionality. Due to the combination of light sheet and confocal microscopy users can employ familiar sample handling and can combine confocal photo manipulation methods easily with light sheet experiments. The light sheet module is fully integrated into the Leica TCS SP8 modular imaging platform and expands its imaging options. 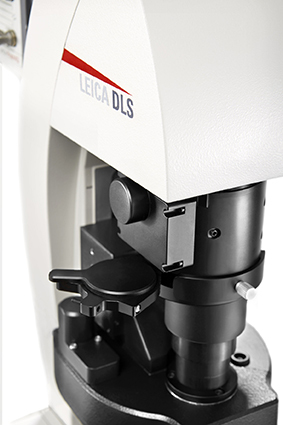 Every inverted Leica TCS SP8 can be upgraded to a light sheet microscope. The system can be tailored to the users’ specific needs and additional functionality such as STED super-resolution, multiphoton microscopy, advanced lasers or quantitative imaging can be added whenever needed.